Solar WA are proud to offer zero deposit finance, allowing our customers to save right away. A core value for us has been to help our customer maximise the return they receive from our products, which is why all Solar WA products have been fully checked, tested and designed to minimise costs. Solar WA’s mission is to help our customers, both residential and commercial, to lower their power bills through advanced solar technology and reliable, extensively tested solar products. Solar WA only uses Clean Energy Council (CEC) accredited solar installers. Solar is our passion and our team of expert engineers work very hard researching the best solar products that are on the market today, while paying close attention to affordable pricing and ensuring warranty conditions meets our high standards. Once one of our customers has decided upon their solar system, this is where our team of qualified solar engineers really comes into play as we will help you customise and tailor your system to get the most out of it. The most renewable form of energy that exists today. Solar power doesn’t produce emissions that are harmful to the environment and it is very abundant – especially in Australia. It can be acquired by using solar energy systems such as solar panels. At Solar WA there are $0 upfront costs with finance. 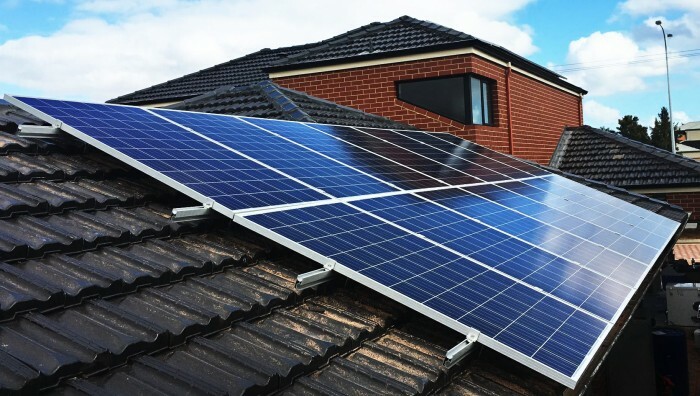 However, the overall price of installation depends on the individual requirements of the home or business, the size of the system, as well as the model of the panels, batteries and inverters. Check our latest price guide and contact our solar consultants for a free quote today. How do I select a reputable solar retailer? CEC Approved – The Clean Energy Council or CEC is a nonprofit organisation that monitors the use of clean energy industry in Australia. Companies that are approved by the body have proven that they are committed to providing quality services, responsible marketing and sales and follows the best industry practices. Local Offices – Does the company have an office nearby that you can visit? Believe it or not, there are online solar companies today that don’t have a physical presence in WA. These retailers can be frustrating and hard to deal with especially if something goes wrong. Having a place to visit is important because it gives you an idea of how they run their company. Established Company – Accredited solar installers are required to undergo retraining every two years that they are on the job. The years a retailer has been in business could be a strong indication of their quality of work. The answer is YES! Solar panels are designed to withstand all types of weather conditions and don’t leak chemicals or fumes (nor use them as we’re harnessing the sun). However, as electricity is generated through solar panels, inverters and batteries it’s best to exercise the same caution as It you do with normal household electrical sockets and devices. Regular service and maintenance checks are recommended every 3-6 months to ensure the system is able to run efficiently. This depends on the system and models you have installed, however you could save up to 80% off your power bills! Contact our solar consultants for a free quote today. During cloudy weather, solar panels still generate energy but the amount of power collected might be lower than a bright sunny day. As solar panels rely on the sun to generate electricity they do not generate power at night. However, to ensure you are able to still use electricity generated by a panel system you will also need to have a battery bank installed which collects and conserves energy each day for you to utilise.